2018 CIE/USA – Seattle Annual Convention has been scheduled on the September 8, 2018 at the Bellevue Westin hotel. Highlighted celebration activities include keynote speeches, Asian American Luminary Awards (AALA), APA Youth Scholarship Awards, Business Exhibition, comprehensive “How New Technology Will Transform Your Life” seminars, Education & Civic Engagement seminars, social Cocktail Reception and a scrumptious Award Dinner. For event registration or just join the CIE/USA – Seattle as a member, please visit www.cie-sea.org. 4. 15:00-15:40 The Evolving U.S.-China Relationship in 2018: What Career and Business Effects Can Chinese American Engineers Expect? Seattle, Washington (August 28, 2018) – The 2018 Asian American Luminary Award (AALA) will be held at the Westin Hotel, Bellevue, WA on September 8, 2018. 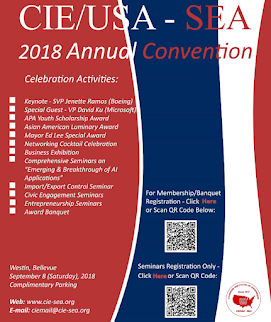 Being the proud organizer of this Inaugural AALA event, Chinese Institute of Engineers/USA Seattle chapter (CIE/USA-SEA) would like to invite you to join us to proudly honor the legacy of Seattle-born Edwin “Ed” Mah Lee, 43rd Mayor of San Francisco, and to recognize five distinguished AALA award recipients. Mayor Edwin “Ed” Mah Lee will be honored for the legacy of his lifetime of public service. Ed Lee served as the 43rd Mayor of San Francisco, and was the first and only Asian American mayor of San Francisco in 168 years, although with the largest Chinese American population in the country. He was a champion of housing, civil rights and immigration issues and particularly on behalf of the minority and Asian American populations, until his sudden death on December 12, 2017. He was born in Seattle and attended Seattle’s Franklin High School. In every field of achievement, from science and technology to arts and athletics to business and politics, Asian Americans are to be found, loyal to this country, adding to its diversity, and contributing to its distinction. Like other Americans, they are proud of their ethnic heritage, guarantee America’s paramount position leading and innovating for the world. AALA is a platform to honor and celebrate outstanding Asian American professionals and leaders with high achievements and contributions in science, technology, engineering, and mathematics (STEM) within Pacific Northwest. CIE/USA-SEA is very proud to provide such a platform to recognize their remarkable careers. The honorees are presented to you below. Dr. Rodney Ho, Professor and Director of the University of Washington, is one of two recipients of 2018 Asian American science and engineering innovation award. Professor Ho is an accomplished scientist and a leader in education. He is an advocate for promoting public understanding of biotechnology, nanotechnology, pharmacy and public health. Dr. Ho’s research on basic and translational sciences intends to improve the efficacy and safety of drugs, medical diagnostic agents and vaccines. He received honors including the AACP’s Paul Dawson Biotechnology life-time achievement award and the AAPS Biotechnology Research achievement award, one of the highest AAPS’s recognition. Dr. Ho was born in Burma. Yu-Ting Kuo, Corporate Vice President, Cloud and Artificial Intelligence Group, Microsoft Corporation, is the other recipient of 2018 Asian American science and engineering innovation award. He leads Microsoft’s Computer Vision Center of Excellence helping to push the state of the art for AI in vision. A 22-year Microsoft veteran, Yu-Ting has contributed to 18 patents either granted or pending and received multiple awards for his positive impact. He founded the project that became Azure Cognitive Services, which has made Microsoft’s advanced AI technologies available to over 1 million developers around the world. Donna Liu, Corporate Vice President, Artificial Intelligence and Research Group, Microsoft Corporation, is the recipient of 2018 Asian American corporate leadership award. 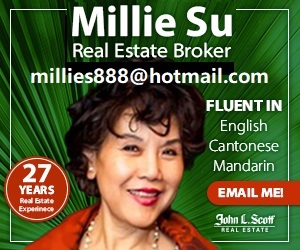 She has more than 20 years of experience in Microsoft and technology industry. 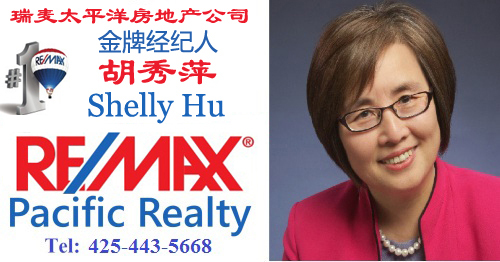 She is currently leading cutting edge innovations in Cortana and Bing Maps. Her current work builds on the foundation of her past work in Bing, where she was responsible for major search domains such as Local, Multimedia (Image and Video), Travel, Entertainment, Shopping and Maps. Multimedia was a shining example of delivering search quality surpassing competition and business impact especially on Bing query share. Dr. Benson (Pai-Sheng) Shen, Co-founder and CEO of Lightel Technologies, Inc., is one of two recipients of 2018 Asian American entrepreneurial achievement award. 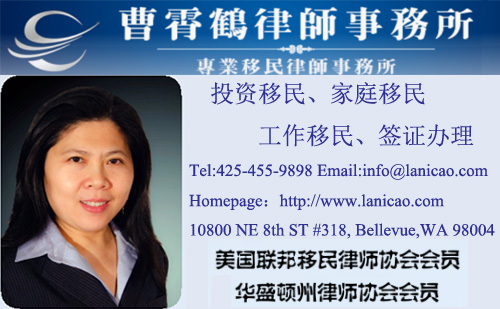 Dr. Shen has comprehensive experience in business, clear understanding of different cultures, and global vision to identify problems and overcome obstacles. Lightel, established in November of 1999, became profitable in its first two years, resisting the “dot com” bubble-burst of 2000 while establishing a fine reputation in the fiber-optics industry. Lightel received the “Governor’s Emerging Trader of the Year Award” for its rapid growth. Jonathan Sposato, is the other recipient of 2018 Asian American entrepreneurial achievement award. A successful serial entrepreneur and investor in many startups, Jonathan is Chairman and co-founder ofGeekwire.com and Chairman and Founder of PicMonkey. Jonathan co-founded Picnik.com and created the first profitable online photo subscription service, reaching over 60M visitors a month. He founded Phatbits which went on to become Google Gadgets. He is the first person to sell 2 companies to Google. Jonathan was awarded the “Civic Innovation Award” from Seattle’s Mayor in 2016. His book BETTER TOGETHER: 8 Ways Working with Women Leads to Extraordinary Products and Profits debuted in Winter 2017 and has become a national bestseller (WSJ top ten). CIE/USA-SEA was founded in 1962. We are one of the local chapters of the Chinese Institute of Engineers/USA that was founded in New York in 1917, with a total of over 10,000 members. Our missions are to promote technical and professional excellence in engineering, science and technologies for Asian Americans; to provide technical, professional and culture services and education to the communities; and to serve as a conduit to similar engineering and scientific organizations at the national and international levels. Responsive to the needs of building community influence and engagement, we are also recognizing community building and engagement as an important part of our programs.